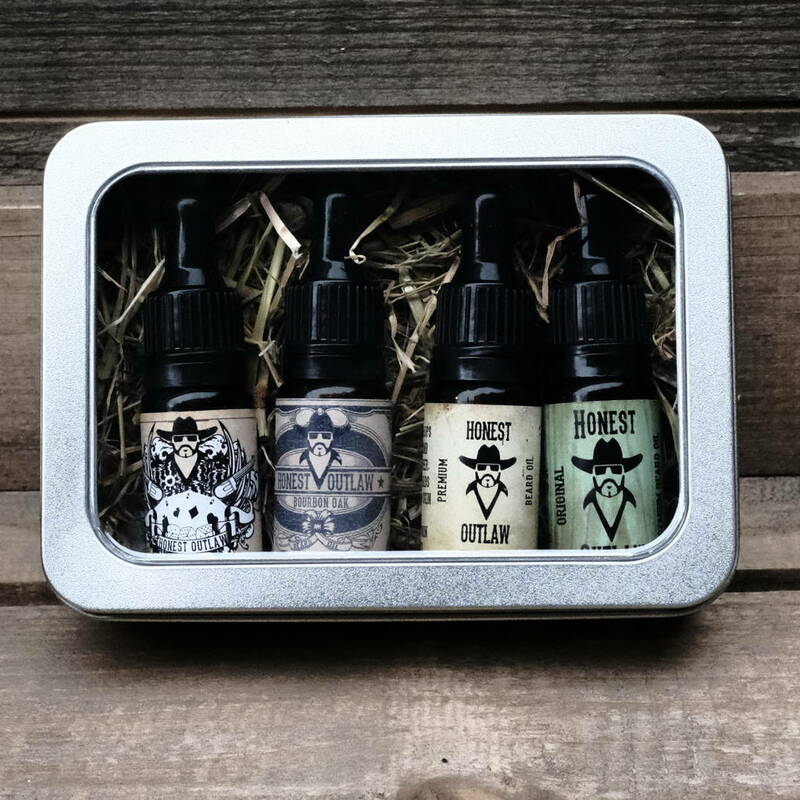 The Honest Outlaw Beard Oil Kit contains our four best selling Beard Oils in metal gift box. 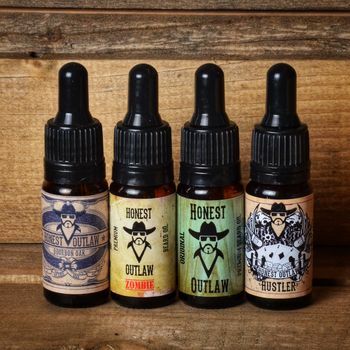 Honest Outlaw Beard Oil is for real men who want to maintain, soften and condition their beard. Whats more, it smells and feels fantastic. 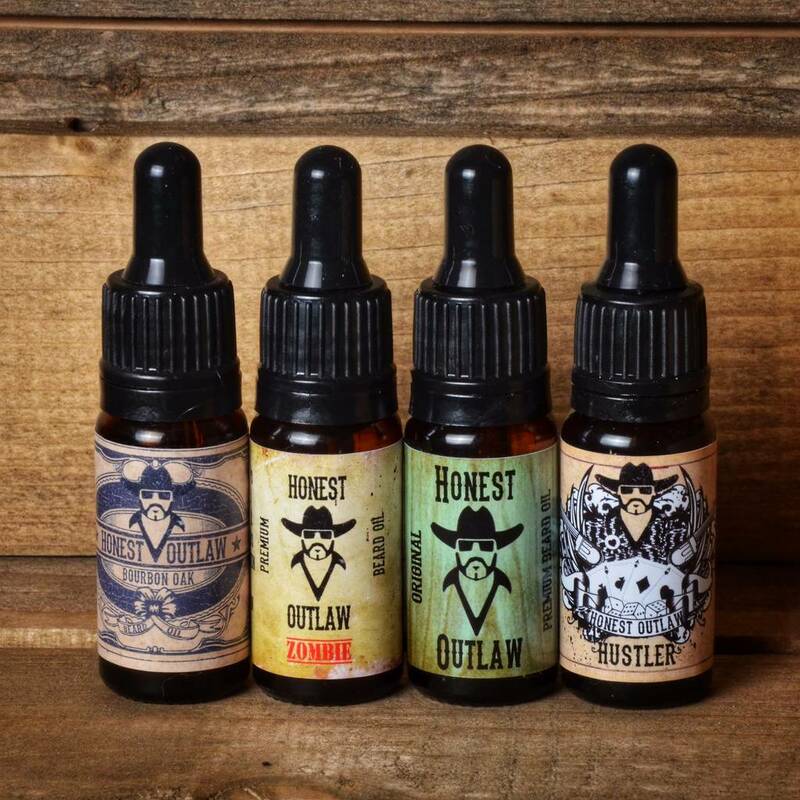 After Using Honest Outlaw beard oil, you will never want to go back to your dry unconditioned beard ever again. As well as the above ingredients each variant has a different scent made up of their own mix of beneficial essential oils.